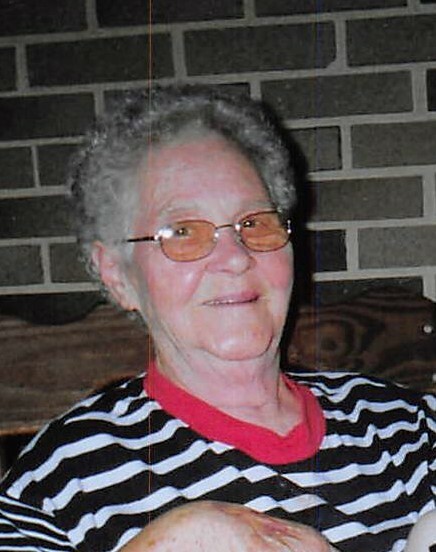 Delpha Wilmoth, age 87, of Mowrystown, passed away Tuesday, November 27, 2018 at the Hospice of Hope Ohio Valley Inpatient Center in Seaman, OH. She was born on May 1, 1931 to the late Alvin and Elsa (Alexander) Foster in Adams County, OH. Delpha was a member of the Mowrystown Church of Christ and was a former employee of Whiteoak High School. Delpha is survived by her grandson, Joshua (Teresa) Wilmoth; four great-grandchildren, Annie Sophia, Sydney, and Lincoln; two brothers, Arnold Foster, Robert Foster; two sisters, Lavida Hobbs and Clara Biller as well as several nieces and nephews. In addition to her parents, she was preceded in death by husband, Marlin Edward Wilmoth, daughter, Mitzi Jo Wilmoth, granddaughter, Marla Lee Wilmoth, 3 sisters, Leota Ruble, Hazel Gelter, Beulah May Smith; 3 brothers, Wendell, John, and Lewis Foster. Graveside services will be held on Monday, December 3, 2018, 11:00 am at the Mowrystown Cemetery, with Chris Gobin officiating. The Edgington Funeral Home, Mowrystown is assisting the family with arrangements. Memorials contributions are suggested to the Hospice of Hope or the Mowrystown Church of Christ.